My miles are slacking lately because of Trav's crazy out-of-town work schedule, showing the house to a bazillion potential buyers and keeping up with the little Goober. 7 miles so far this week? Pssshhaw. Not winning. Luckily I have about 10 on tap with Mel tomorrow morning. Speaking of Mel...Trav, Goober and I just got back from a lovely dinner with her, her hubby and her little studs. Her hubs makes a mean chicken enchilada! Yum! Unfortunately Goob is teething and was a wee bit fussy. Poor babe. And by the way, Mel's little studs are so funny! They were very interested in Goober and her bellybutton's "bird mark" aka birthmark. ;) Little kids are fun. I'm deciding on more races to register for. The Beat the Bridge (8K) is my original "back-to-running" race, so I have to do that one. Then there's the Warrior Dash that I'm trying to convince Trav to do with me (jumping over FIRE like Heather! )...how freakin' bada$$ does this race look??? Yes!! But the Top Pot 5K Doughnut Dash looks the most fun, and my best friend Laura's running it as her first 5K (so I totally have to be there for that!). Plus, the race has gender-specific race shirts--fantastic! I'm in! Also, this is a Greenlake course, which is the current holder of my 5K PR. There could be a chance for a PR break! Have you checked out and followed Runner Swag yet? 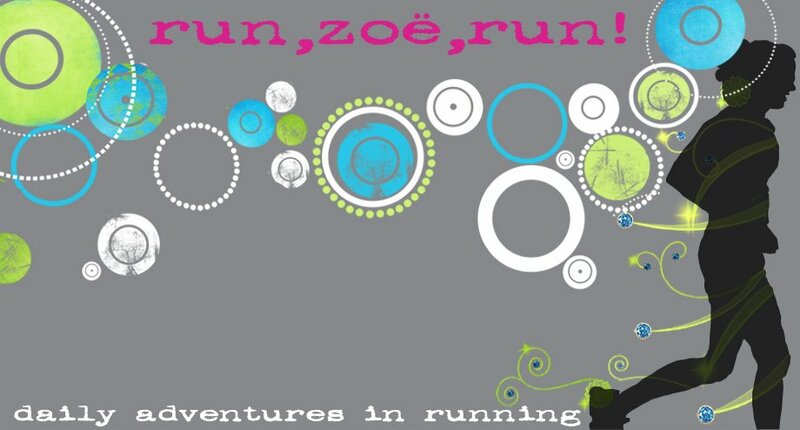 It's the Running Giveaway Listing blog I started. Definitely go "Follow" and spread the word. Thank you, you rock. Will be checking out the swag site in 2.5 seconds! Passing the word along too!! I need a goober pic!!!!!! sounds like a great night! i am doing the Warrior Dash in North Bend with the hubs....would love to see ya there!! Is Beat the Bridge fun? I want to do it, along with the Husky dash or whatever it's called.